One of the few occasions I hope the Ironman athlete tracker isn’t working is when I can see one of my athlete’s having a bad day. There were mixed results for CoachCox athletes at Ironman UK this weekend – one unfortunate and surprising DNF balanced out by a huge personal best. Good and bad, we’ll see what can be learnt from both. While I wait to hear back from my own athletes I’ll take a closer look at the overall results from Ironman UK. For the most part this year’s race only differs in small ways from the previous 4 years of Ironman UK in Bolton. The swim is very similar, just a little less weight towards the back of the field with more athletes completing between 1:05 and 1:15. The bike shows small signs of being faster – a slightly higher proportion of athletes finish at the faster end of the scale. The run however is clearly slower, but it’s worth bearing in mind that an occasional short marathon has skewed past results. 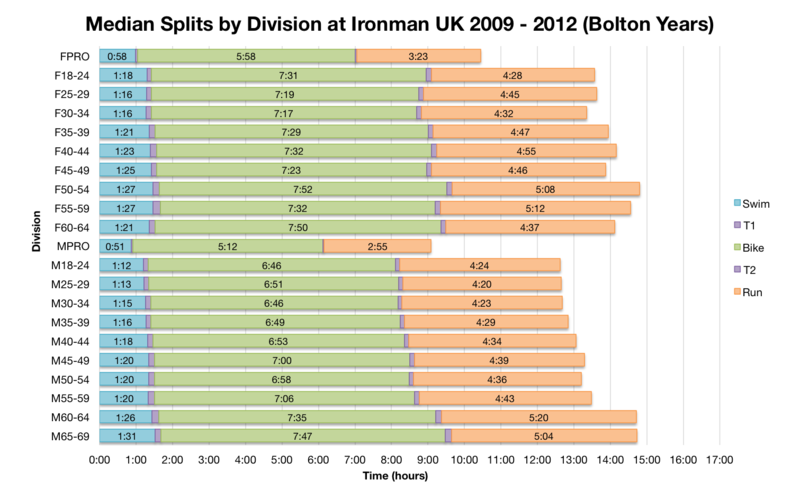 Overall the distribution of finishing times doesn’t hugely deviate from past Bolton races – a little lighter in some places and heavier in others. 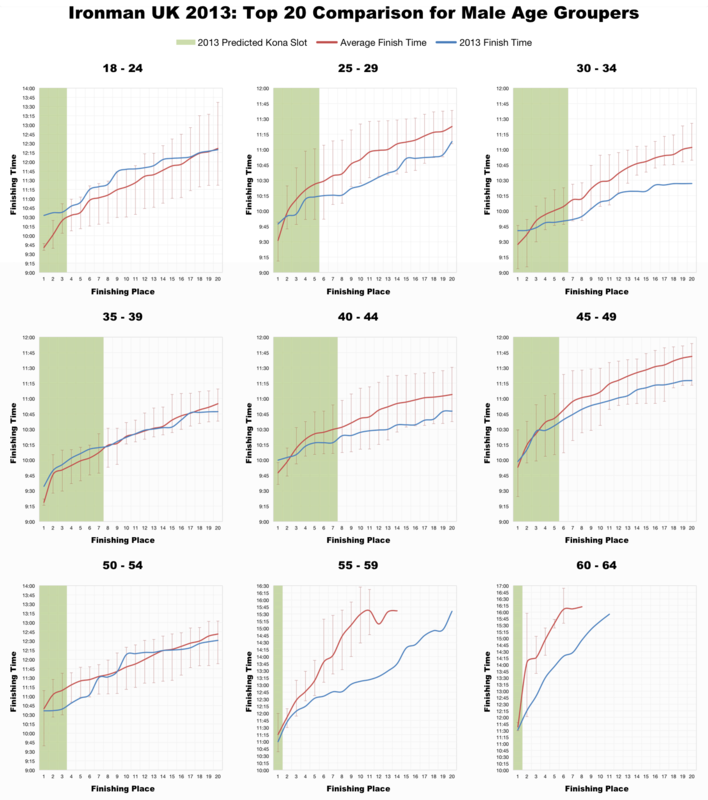 Comparing the median splits largely confirms those results. 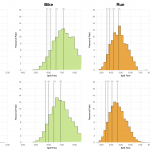 Swim and bike times the same or slightly faster while run times are slower than the previous (skewed) medians. The end result being largely similar finishing times; although we should note men in their sixties were distinctly faster this year. As I’ve not seen a final allocation of Kona slots at Ironman UK, I’ll stick with their provisional numbers. 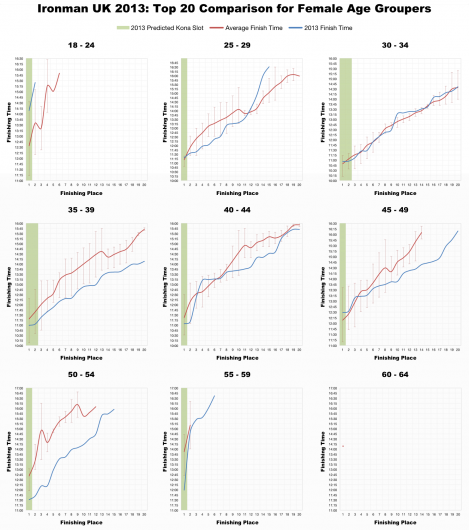 It may vary come the roll down, but they should give a reasonably indication for this year’s Kona qualification times. This year the front of the women’s field is a little faster. The podium places are not often the fastest seen in Bolton, but close to it. 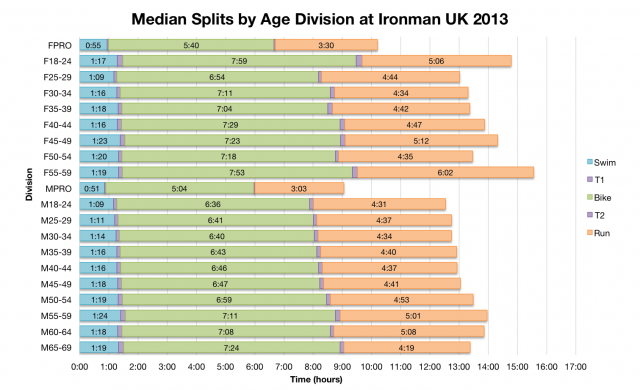 The major exception is the 50-54 age group who smashed their previous times. 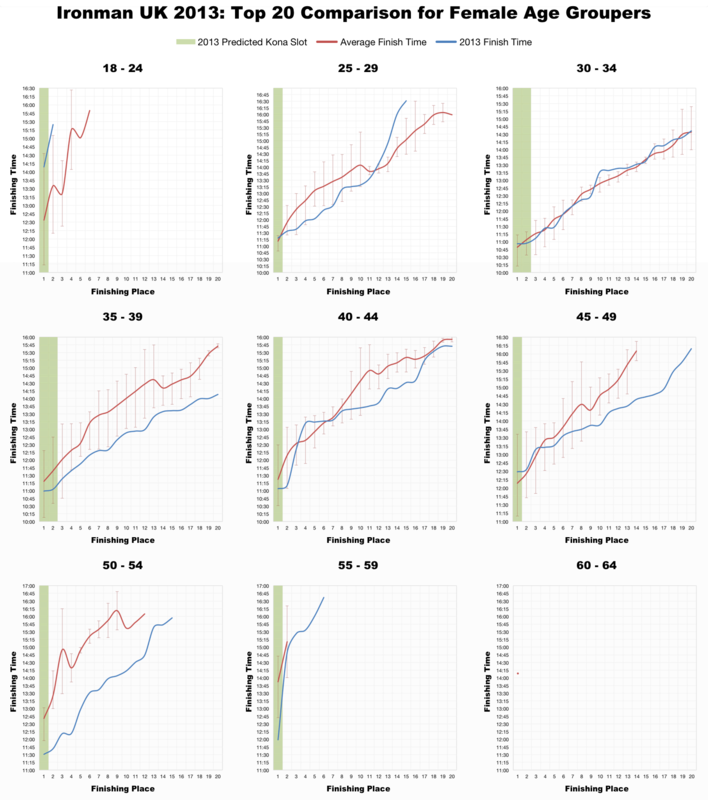 Generally though for those after Kona slots you needed to finish at or a little faster than the average. 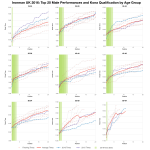 The men’s field shows a similar pattern – the age group winners are often a little slower than the previous average, but the trail off in finishing time is distinctly lower than average. 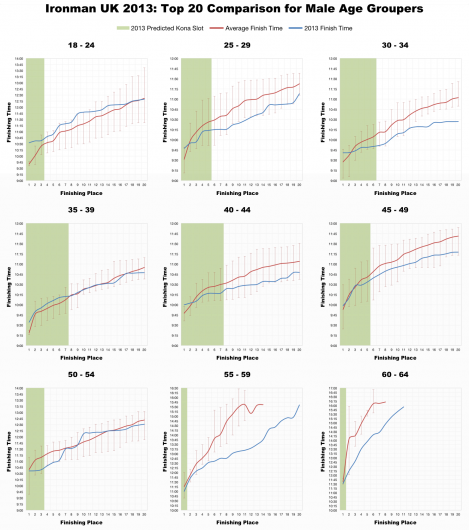 The gap from first to fifth or even tenth is much smaller than the previous average. Although actual finishing times aren’t necessarily the fastest seen the competition for the top places was stiff. This year’s race looks to fit within normal expectations for Ironman UK. Not a fast course for pro or age grouper alike. 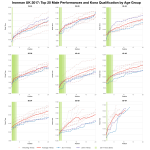 Competition for the Kona slots on offer may have increased as the gap between athletes at the front tightens up. 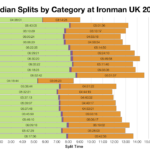 Ironman UK usually provide a good spreadsheet of results, but until they do I’ve put my version of the full results and splits from athlete tracker into Google Drive.